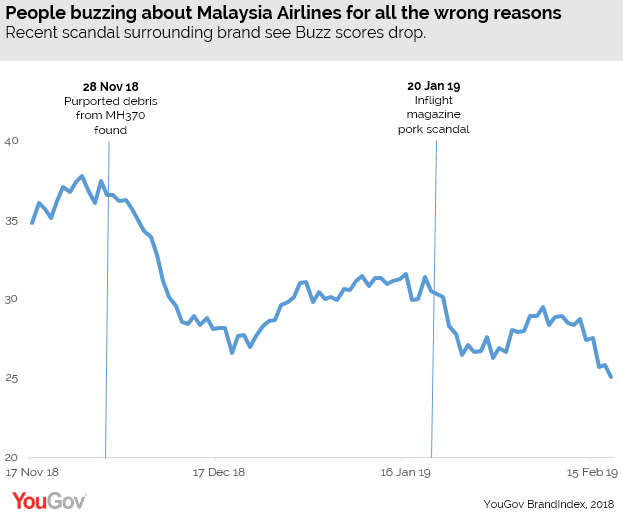 on March 18, 2019, 3:40 p.m.
Malaysia Airlines’ Index score, which measures overall brand health, remains high amongst Malaysians, and currently stands at +40.0. However, the same cannot be said among its Southeast Asian neighbours. While Indonesians’ perceptions of the brand are still in positive territory (+4.2), Singaporeans take a more negative view, with the brand’s Index score currently at -13.7.